The release of Payday 2 is approaching quickly, and developer Overkill Software has revealed a collector’s edition for fans of the series. Included will be the game itself, a mask, a pair of gloves, a 100 dollar bill wallet, and the game’s soundtrack. Check out the extra goodies below as well as a trailer discussing new features found in Payday 2. Payday 2 introduces new RPG mechanics to the heists, with players now able to choose between four different professions. Stealth elements as well as a slew of new customization options are just a few of the new features mentioned. 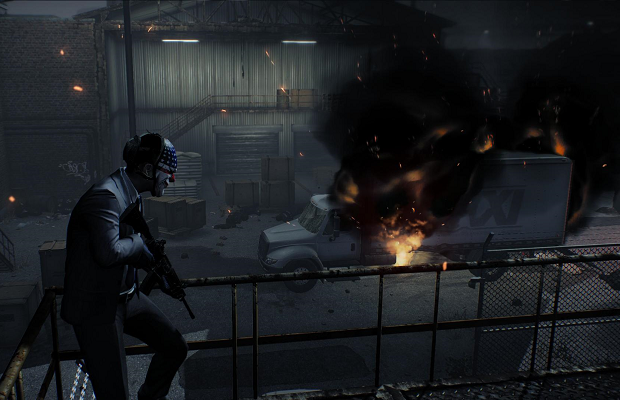 Payday 2 is scheduled to hit the PS3, 360 and PC August 13th.